Dark times and scary droids have come to Jedi Academy! It’s Victor Starspeeder’s third year at Jedi school. But things are a little… weird. It’s his first year ever without his sister, Christina. Plus, after last year’s security breach, Principal Marr has been demoted. He’s been replaced by Commander ZC-04 – a big, scary droid. There’s a strict curfew and lots of new rules. Everyone feels on edge. But when Victor and his friends dig a little deeper into all these strange changes, they realise the droids have a dark secret. Can the kids save the Force? 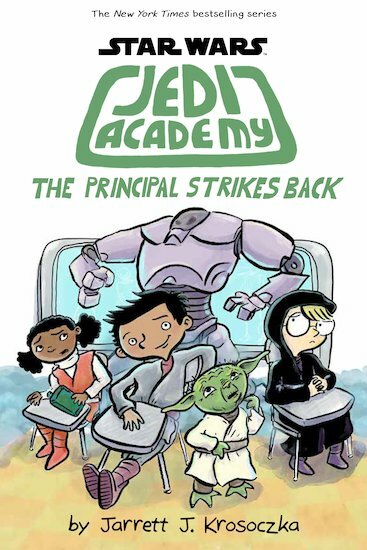 Imagine Diary of a Wimpy Kid meets Star Wars!